Sing. Act. Dance. Unleash Your Inner Thespian at The TONYs Broadway Open Mic! 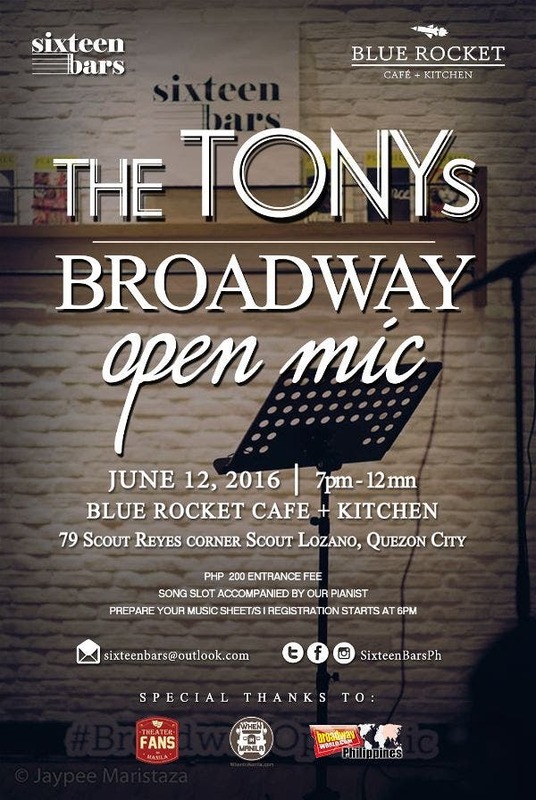 Sixteen Bars and Blue Rocket Cafe + Kitchen present: BROADWAY OPEN MIC: The TONYs! BROADWAY OPEN MIC: The TONYs is the next installment of the Broadway Open Mic series, a semi-regular event that brings musical theatre enthusiasts together by creating a space where, accompanied by a pianist, they are free to perform musical theatre songs in an audience of their peers. As well as songs, guests may also choose to perform monologues. 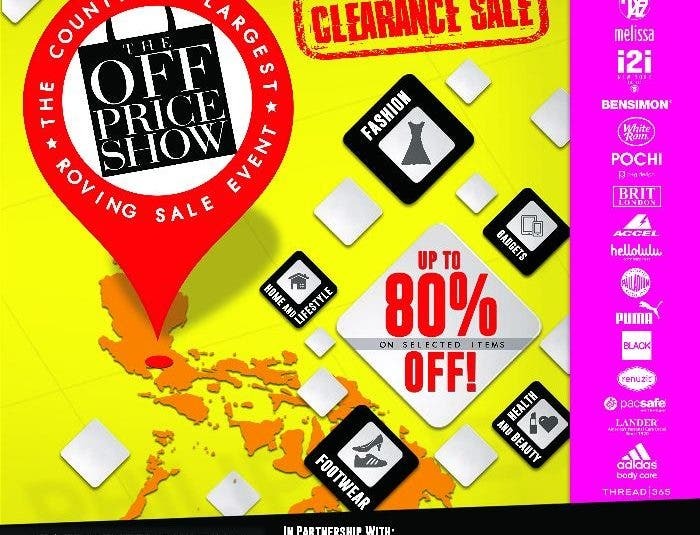 There are also activities at the event where participants stand to win prizes such as actual Broadway Playbills and other musical theatre-themed items. This month’s theme, The TONYs, is a celebration of the biggest night in American theatre, where one season’s worth of work on Broadway is recognized in spectacular fashion, culminating in the triumphant awarding of the winners. The event, which, coincidentally, will be held just hours before the 2016 ceremony can be viewed live in the Philippines, will have participants performing selections from Tony nominees and award winners, past and present: songs about life, death, happiness, melancholia, love, hatred, and the breadth of human experiences and emotions that the best of Broadway have to offer the world. Sixteen Bars is a performing arts education company whose goal is to provide the needs of developing theatre practitioners in Metro Manila. Our services mainly consist of master classes, workshops and various other events geared towards artistic training and comprehensive education in music, acting, dance, and writing. Prepare music sheets. The mic is open to all monologues.